The government shutdown has now reached day 19 as President Trump pushes for $5.7 billion in border wall funding. The president claims a border wall will help combat the flow of drugs like fentanyl from entering the country. A DEA report from this past November says otherwise. But how are these drugs currently making their way to New York State? WBFO’s Nick Lippa reports. “Our southern border is a pipeline for vast quantities of illegal drugs including meth, heroin, cocaine, and fentanyl. Every week, 300 of our citizens are killed by heroin alone. 90% of which floods across from our southern border,” President Trump said during his Tuesday night address. CDC numbers back up President Trump’s claim, revealing 15,000 die each year from heroin. A 2017 DEA report does as well. It says 90 to 94 percent of consumed heroin in the United States comes from Mexico. However, most heroin is coming through legal ports of entry and not an open border according to New York State DEA Special Agent in Charge Raymond Donovan. “Now the port of entry is an easier way for them to do it. There’s concealed traps or different hidden areas within vehicles concealed with drugs within those traps,” Donovan said. Erie County Executive Mark Poloncarz has been vocal in his opposition to the shutdown and border wall as he’s seen it impact county programs like anti-opioid grant funding. Poloncarz is right in that China is one of the main places fentanyl is currently coming from. However, Donovan said a larger percentage is coming from Mexico as there has been a decrease in the volume of express mail and trafficking from China over the past few years. “Thanks in part to our federal partners such as U.S. Postal (and) CBP (Customs and Border Protection) and other agencies we’ve really tightened that down,” he said. But Donovan said that hasn’t stopped Mexican cartels because the business is cheap and it’s unregulated. Major organizations like the Sinaloa Cartel will bring in shipments in kilogram quantities. Donovan said Sinaloa is the biggest organization currently impacting New York. 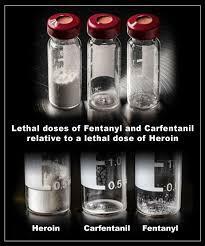 “Keep in mind that, although it’s coming from the Sinaloa Cartel, often the fentanyl that they’re receiving is directly from China as well,” he said. In 2018 approximately 600 kg of fentanyl was seized throughout the state. Donovan said that means 540 million dosage units were taken off the streets. Donovan said these drugs cross the border by many different methods. Land. Sea. Commercial airlines. And now online on the dark web. Donovan said combatting the drug is their biggest concern as of right now, but as a recent DEA report has cited, many smuggling methods would not be stopped by the creation of a border wall. 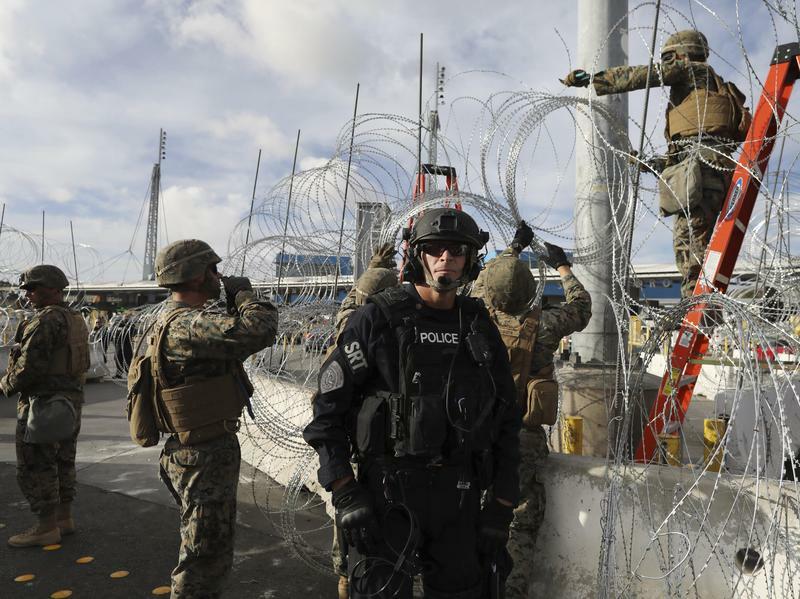 President Trump is expected to extend the deployment of thousands of U.S. troops to the U.S.-Mexico border into January rather than withdrawing the personnel in the middle of December, Pentagon officials tell NPR. The move would further extend the rare deployment of active-duty troops at the Mexico border, rather than just National Guard personnel.